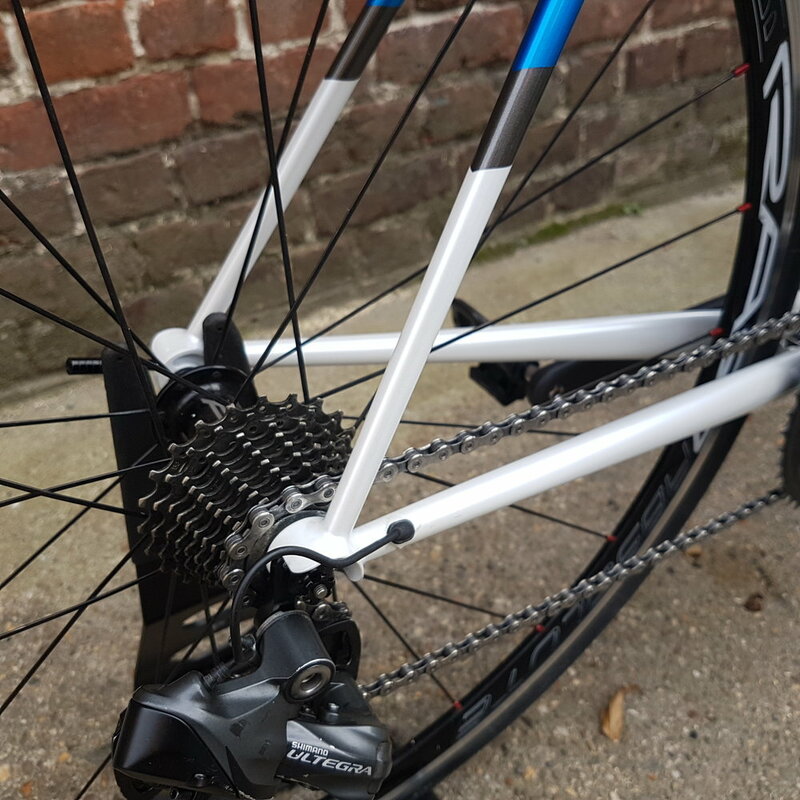 Raymond was looking for a more supple alternative to his Pinarello carbon road bike and ordered a new steel frame to transfer his currents bike's components onto. The new frame is made from Columbus Spirit and Life tubes. I also adjusted stack and reach to a more comfortable ratio and I was able to run the Shimano Ultegra Di2 set up entirely internal. The colors are matching Raymond's cyclo club jersey.